Located in Lakeland, Florida we were immediately inspired by our city and the unique history found within our walls. Haus 820 is the perfect Blank Canvas to bring any vision to life. 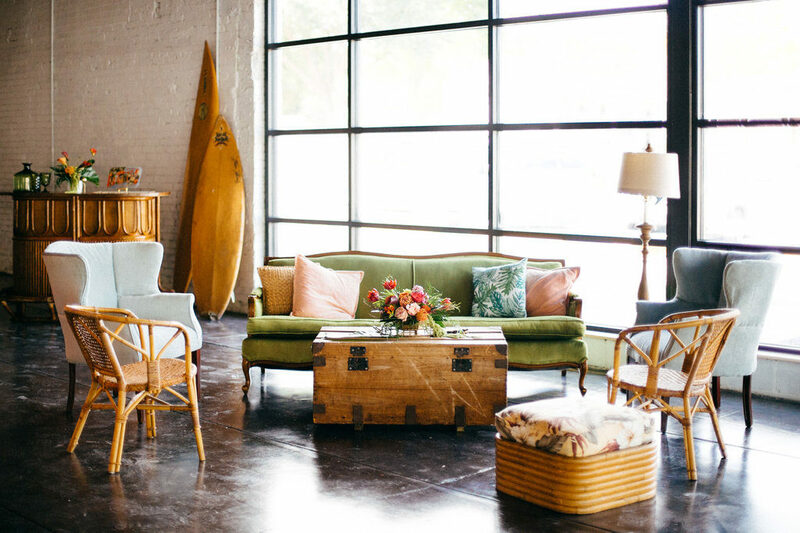 Emily Grace Design was inspired by Haus 820’s Florida roots. 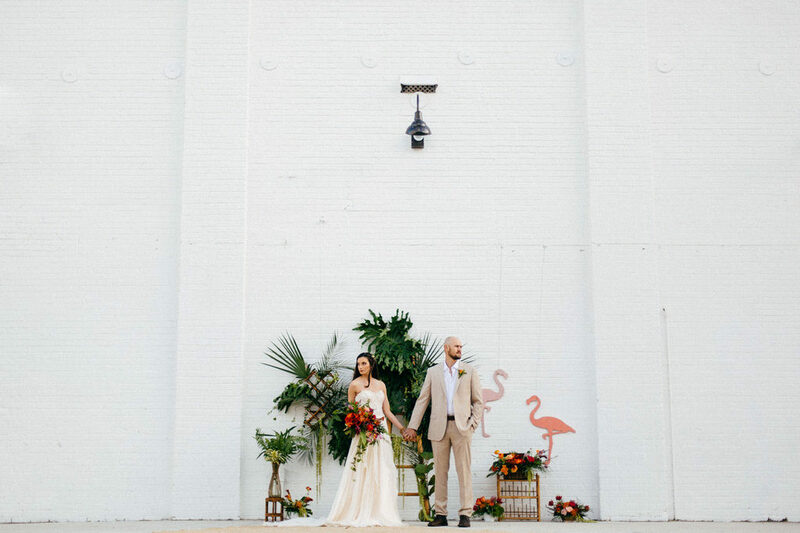 Its original whitewashed brick walls, with dark stained concrete floors, high ceilings with exposed beams, and large windows provided the perfect location for Emily’s Old Florida Style Vision. 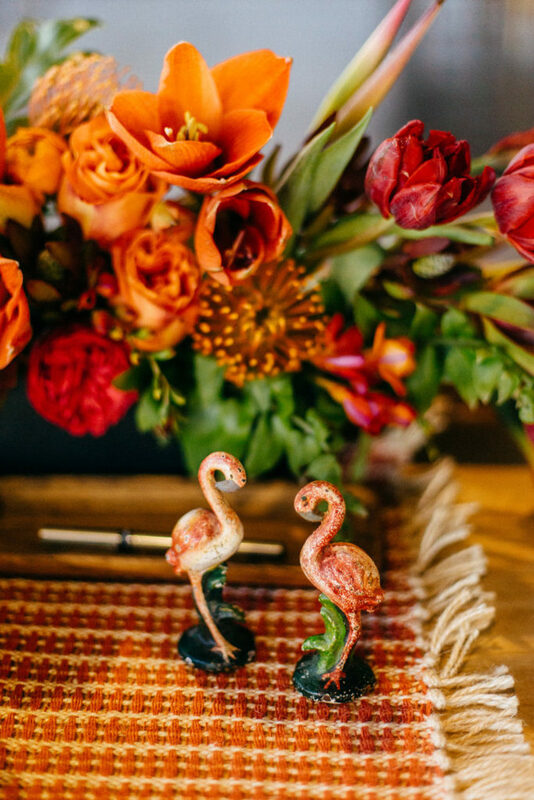 With photography by Tiffani Jones Photography and videography by Rad Red Creative they captured every detail, allowing the space to be the home for a beautiful vision brought to life. Read the full feature on Green Wedding Shoes Blog. (Link at the end of the post)! Take a look at these photos and be inspired. 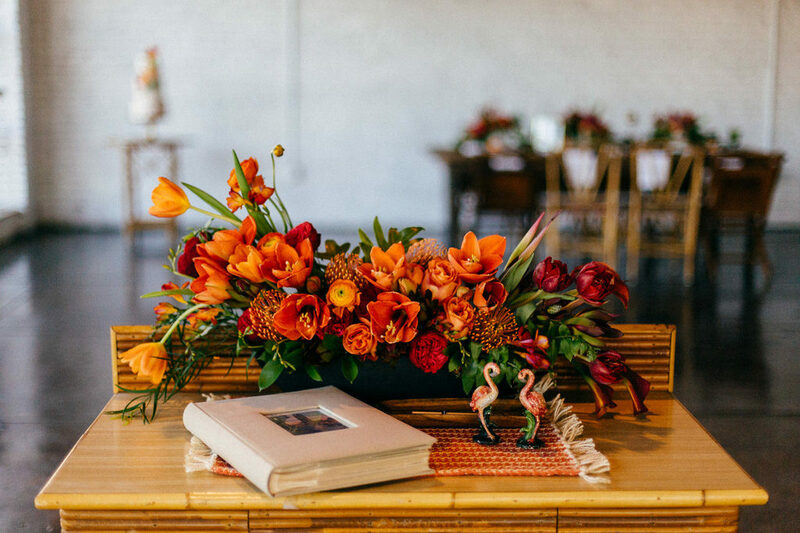 Mari Gold Flower Co. used a variety of large, leafy greenery with bright oranges, yellows, and pinks. 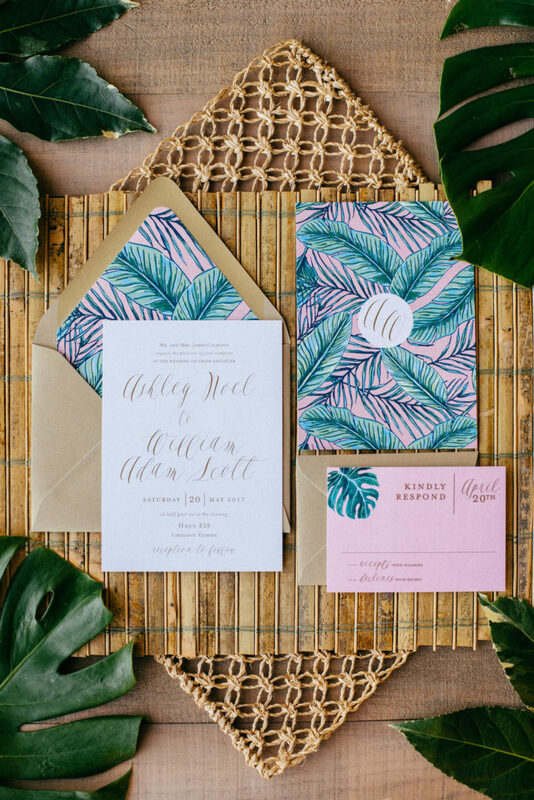 An invitation suite created by A&P Design to set the tone with bright colors and bold patterns. The groom was styled in a tan suit, from The Groomsman Suit, with an open dress shirt and no tie. 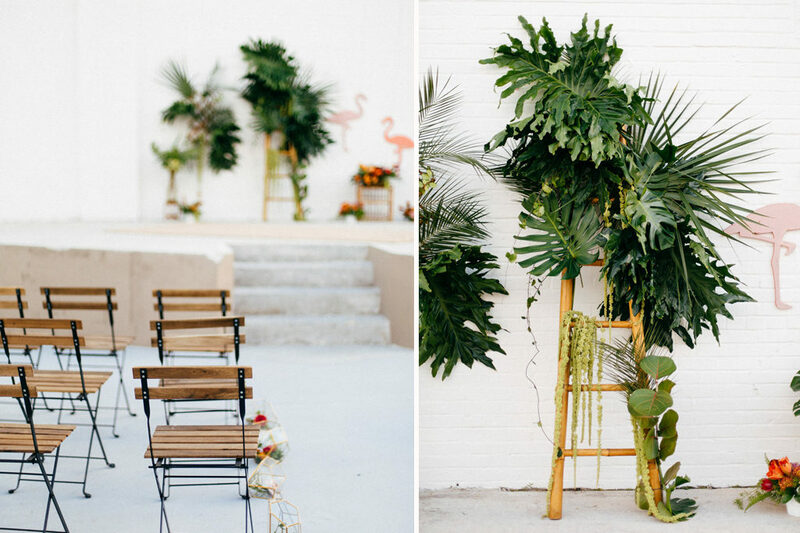 Balancing the formality and considering the Florida summer heat for the Groom’s comfort.The couple exchanged vows in front of a lush ceremony backdrop! An asymmetrical design was created to give a natural feel that pops off the white walls. 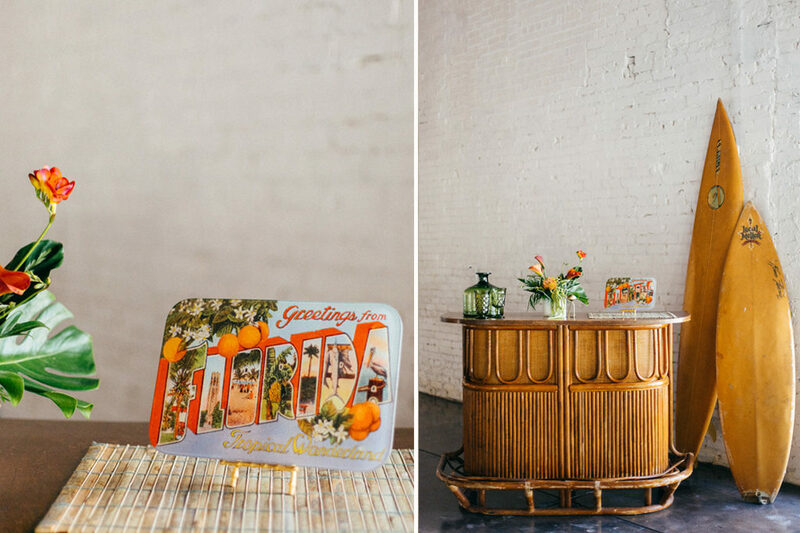 Emily and Lisa at Wish Vintage Rentals worked together to create a look centered around Vintage Florida Relics. Hands on Sweets had a beautiful, romantic take on sweets. 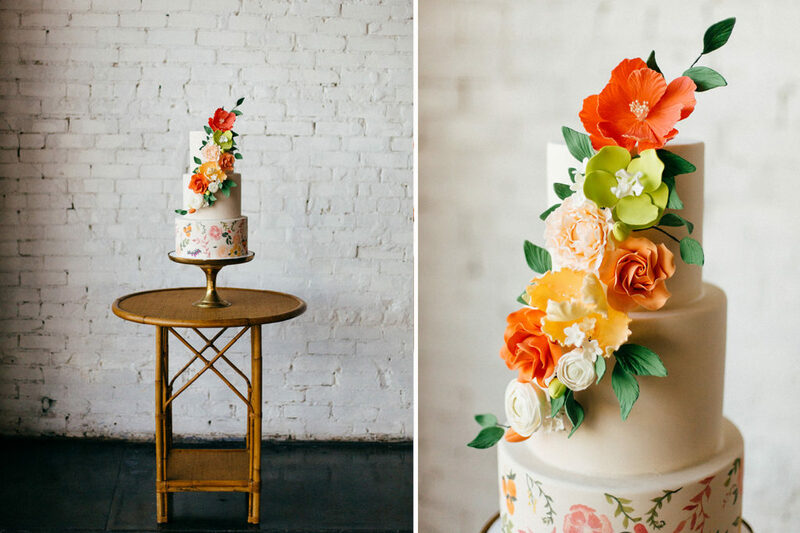 They created a cake that featured hand painted flowers with brightly colored sugar flowers cascading along the front. 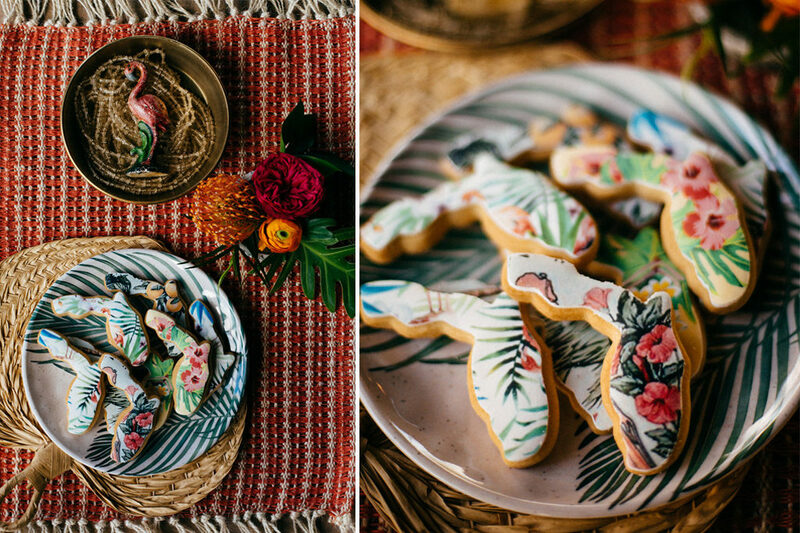 They also made custom Florida shaped cookies, a fun and delicious favor for the guests. 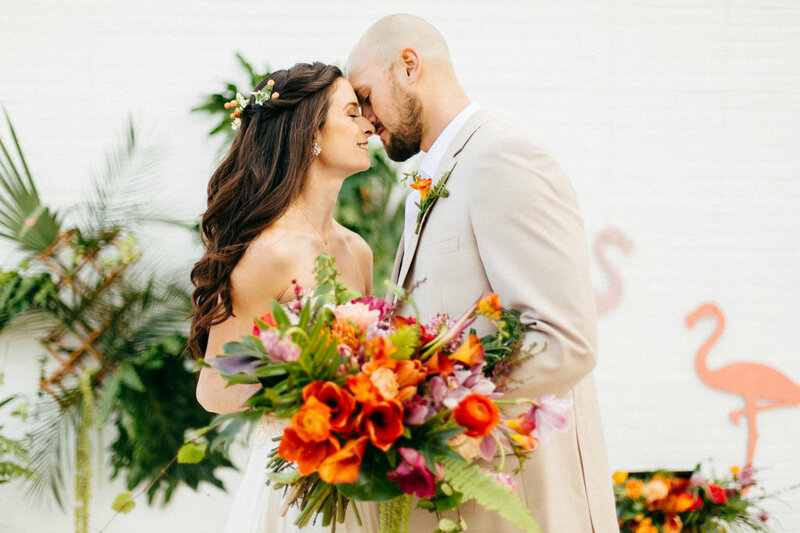 Lasting Luxe‘s hair + makeup expertise added to the romance! 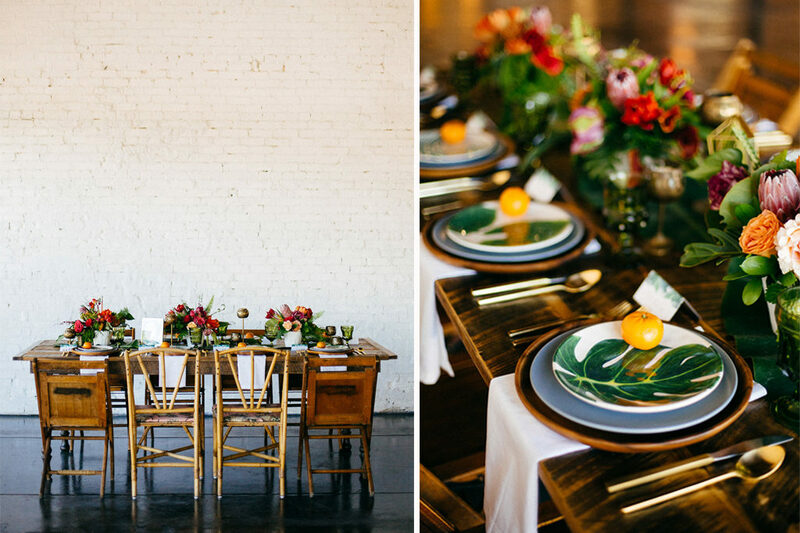 We love the mixture of natural light and textures in this photo, Tiffani Jones Photography captured the moment perfectly. 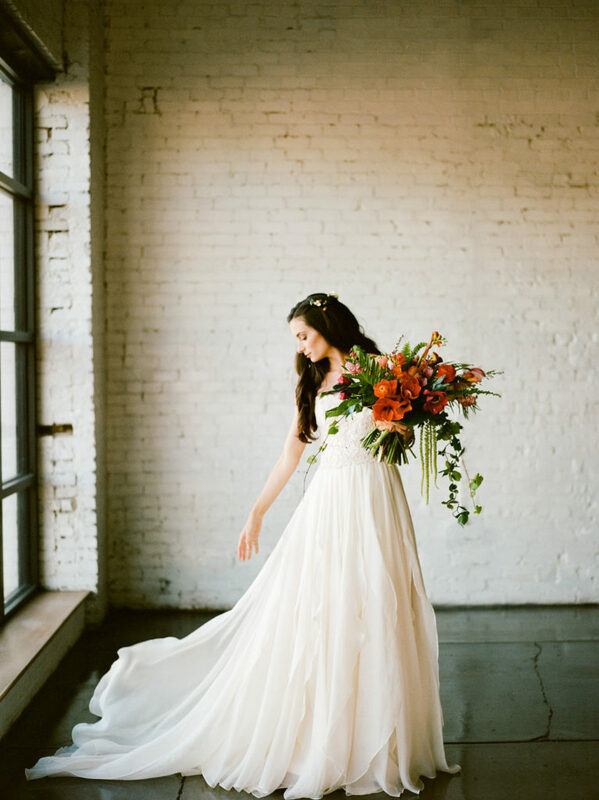 Rad Red Creative captured every detail perfectly! 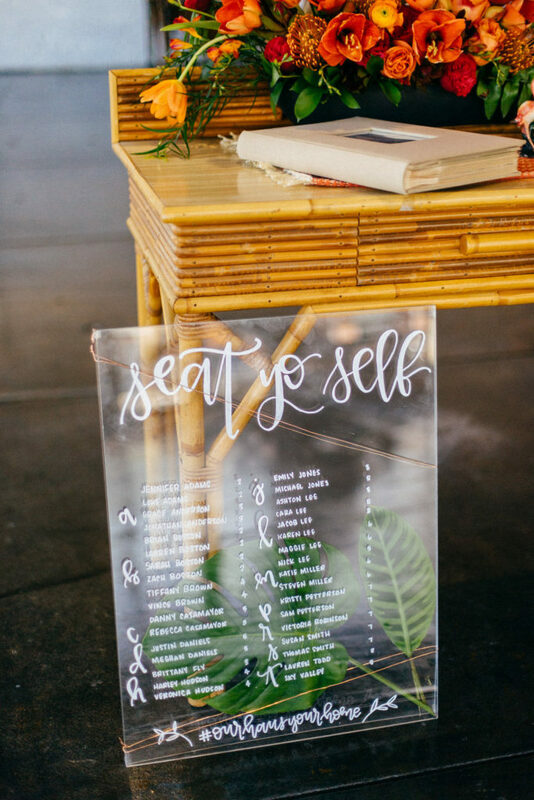 For more photos and inspiration read the full feature on Green Wedding Shoes Blog!